Britain's Trident nuclear missile base could be relocated to Plymouth, on England’s south coast, if Scotland were to vote for independence, a leading military think-tank said. The report prompted fears of a nuclear accident in a highly populated area. The SNP Scottish government has set out its plans to remove Trident from Scotland if September’s referendum secures a “Yes” vote, arguing insisting that the £100 billion required to update Trident would be better spent on health, education and housing in an independent Scotland. Yet Scottish independence would also raise the question of moving Trident to elsewhere in the UK. 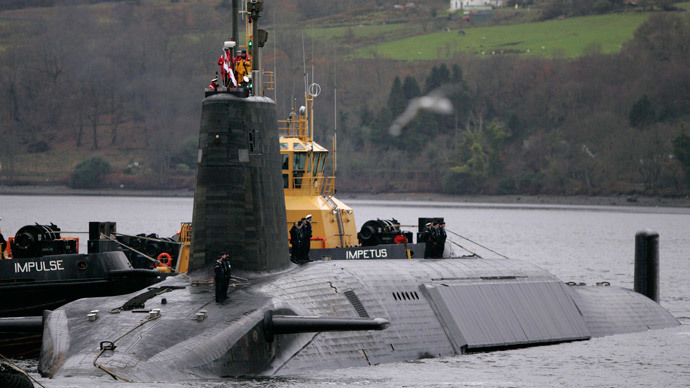 Some opponents of independence have suggested it would mean the end of the UK’s nuclear deterrent. 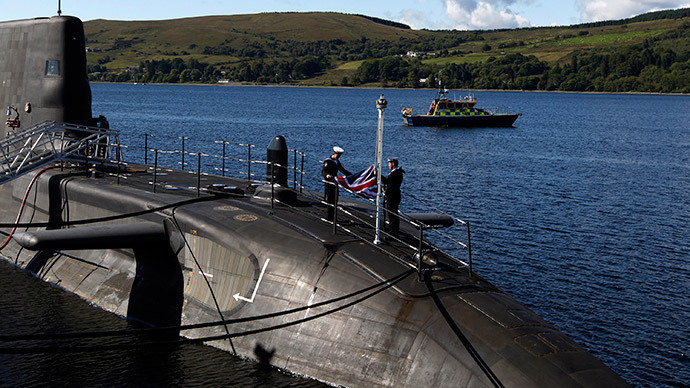 The report by the Royal United Services Institute (RUSI) says that while any relocation could not be completed by the 2020 target date proposed by the Scottish government, it could be put off until the new fleet of Trident submarines enters service in 2028. Opponents say the cost of moving the submarine base from Faslane and the nuclear warhead depot at Coulport would be exorbitant. 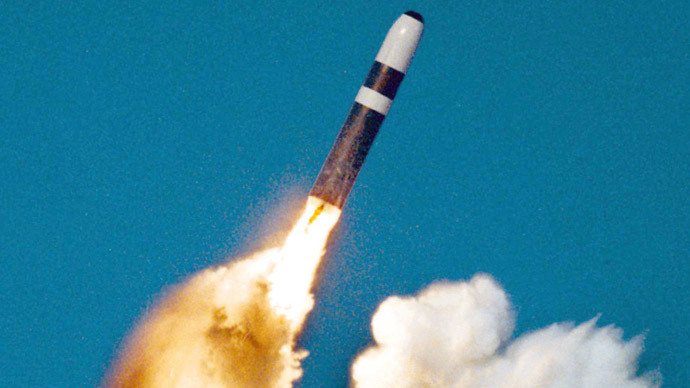 RUSI estimates the relocation would add £3.5 billion to the cost of retaining the UK's nuclear forces. 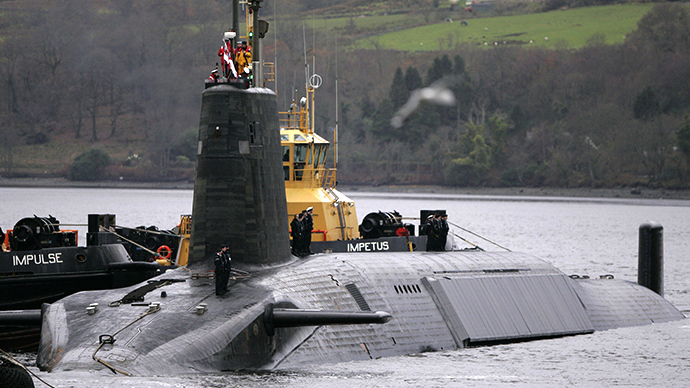 The cost of the overall nuclear deterrent program over 25 years is estimated to be £80 billion. Devonport in Plymouth, the base for conventionally-armed nuclear submarines, would be the most obvious alternative to Scotland’s Faslane, claims the report. It adds that any local opposition might delay but not stop relocation. The option “given most credence to date” for storing the submarines’ nuclear warheads is the Fal estuary to the north of Falmouth, which offered "good shelter and a comparatively isolated location,” the report notes. However, accidental ignition of the warheads in a heavily populated area of the UK was among the safety concerns raised in the report. “Introducing nuclear-armed [submarines] to Devonport will unavoidably introduce a new risk that an accidental ignition of one or all of a submarine's Trident D5 missiles could spread radioactive material over some of Plymouth's 260,000 inhabitants,” the report warned. 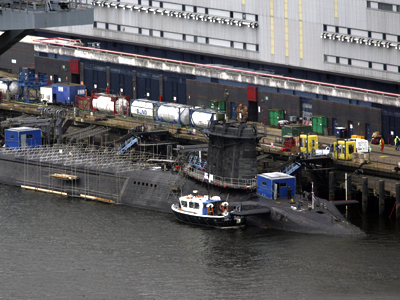 Despite the conclusions of a recent cross-party report assessing the future of Trident, which found Britain’s nuclear deterrent is “a hostage to American goodwill … dependent on the United States for many component parts of the guidance and re-entry vehicle, and for the Trident ballistic missile system itself,” the RUSI report says basing Trident submarines in the US would not be a credible long-term option. According to the report, one of the primary purposes of the UK nuclear force is to provide some insurance against a scenario where the US is not willing to come to the UK's defense. “A decision to rely on a US operating base would clearly undermine the credibility of the UK nuclear force in this scenario,” the report states. A national debate about the future of the UK’s nuclear arsenal will likely intensify if Scotland votes to leave the UK. Britain’s nuclear commitments to NATO and the sheer cost of renewing and maintaining the nuclear weapons will play a part in the discussion. “The various challenges of relocation would probably trigger a wider national discussion in the [rest of the UK] on whether or not the strategic benefits of retaining nuclear weapons exceeded the costs involved,” the report adds. The Campaign for Nuclear Disarmament (CND) estimate that the £100 billion required to renew Trident could employ 150,000 nurses, build 1.5 million homes or 30,000 new primary schools in the country. “An independent Scotland would have the opportunity not just to remove nuclear weapons from our shores, but to set an example to the world,” said John Ainslie, Coordinator of Scottish CND. Scottish National Party (SNP) Westminster Leader and defence spokesperson Angus Robertson MP said the UK government’s Trident “obsession” highlights the democratic deficit that Scotland faces under Westminster control. He went on to call new generation of Trident nuclear weapons “an obscene waste of money” that ought to be used on public services.